A couple birthdays ago, I met Alexa. She immediately found her way to my heart by dishing out the latest weather, news, sports scores and, of course, Huey Lewis & the News hits on command. Amazon’s popular smart speaker, Amazon Echo, gave me the first taste of the automated home lifestyle that I hope eventually immerses my residence. It didn’t take long for visitors who had a chance to experience Alexa at our home to soon welcome her into theirs. This desire for immediate answers, resolutions and general information is what is fueling products like Amazon Echo, Google Home and Siri – and has now led to the surging popularity of chatbots. This communication-based artificial intelligence is found in our favorite messaging apps like WhatsApp, Facebook Messenger, HipChat and Slack. At Inbound 2016, CTO and Cofounder of HubSpot, Dharmesh Shah, used his keynote address to proclaim that chatbots are the most important technology to come out in decades. He explained that conversational interfaces are revolutionizing the way people request information. And as creators/designers of the platform or UI, companies are getting direct access to those requests which helps them iterate their product to directly match consumer needs. We’ve talked about technology trends at events, and even the augmented reality trend that will move your meeting forward, but there’s another trend every event organizer should know. Corporate event planning will get a lot easier with chatbots at the helm of the attendee experience. 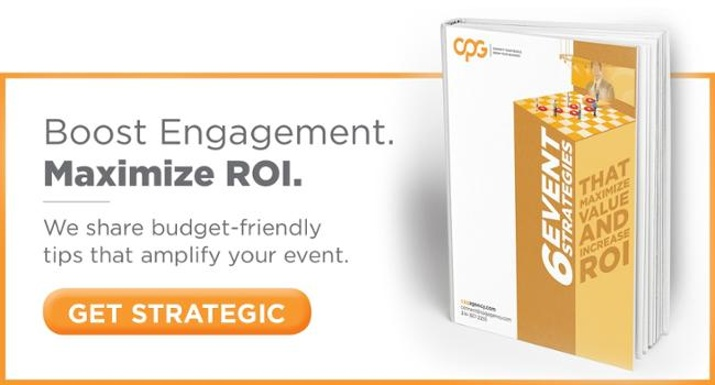 Since event success is measured by attendee engagement, why not kick off that engagement in the palm of their hands? With the rise of messaging technology, here are 5 reasons to start investing in chat technology. This technology makes it possible for your attendees to have any of their questions answered easily, from purchasing a ticket to finding a hotel to learning the dress code to registering for a session. Quick, precise answers leave no room for confusion for your attendees. As you pore through the log of inquiries from your attendees, you can discover the frequently asked questions that previously weren’t even on your radar. This is real-time feedback and data that you can react to immediately. Free up personnel time from fielding FAQs, directions and session information and let the chatbots do the work. Your attendees still receive a personalized, interactive experience at a reduced cost to you. Plus, this feature could potentially replace an event app leading to further savings. Statista reports that 75% of mobile users leverage messaging tools. Meet your attendees where they live. From Facebook Messenger to WhatsApp to LinkedIn, etc., they are connected to their mobile device and constantly use it to access information. A simple chat interface gives them immediate gratification for any query they may have. If you have an avatar or mascot or recognizable leader within your business, why not make them the face of your chatbot. This presents an increased level of engagement with your attendees and could add another element of fun to the experience. Obviously chatbots, and any form of technology, bring with them a myriad of risks and challenges, from compliance to privacy to limitations. All of these will need to be carefully vetted by your team and clearly communicated to your users before launch, but the benefits are apparent. Thanks to the simplicity of this conversational AI, chatbots will appeal to attendees of all ages thanks to their engaging features. Cost-savings, ease of use, data-driven feedback and overall innovative appeal will easily make chatbots the talking point of your next corporate conference, meeting or event.